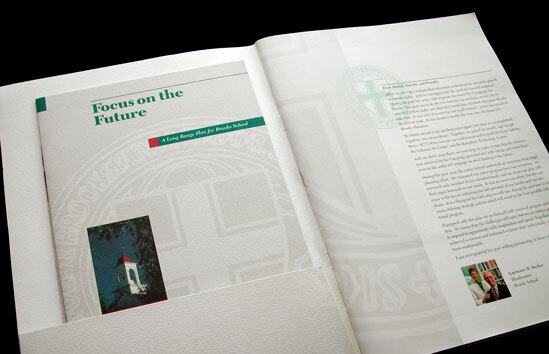 This five-year capital campaign engaged alumni by invoking a rich history and announcing a persuasive strategic plan. This appeal, part intellectual and part emotional, recounted founding principals while making a case for the future. We worked with the Brooks Campaign steering committee to develop a dynamic approach to the campaign's graphic identity collateral, a case statement, supporting brochures, a newsletter and summary publications.